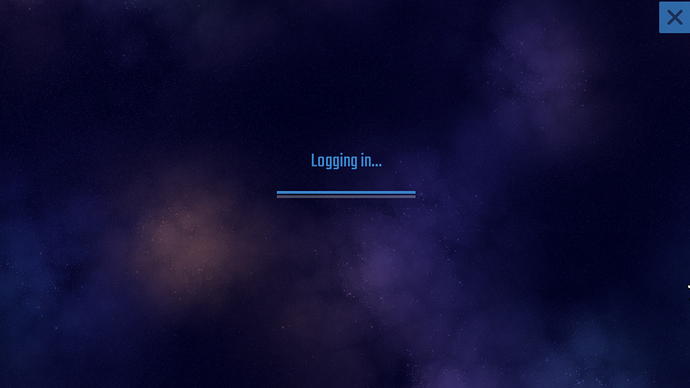 I’m trying to log into the galaxy map, but all it’s showing is the Logging in screen. Stop create a topics about a server issue! How many times needs to be said that the game is in EARLY ACCESS AND IA working on it. To some extent yes, but becomes irritating. Letting us know about these things is good, keep doing it. Maybe our attention is elsewhere. But, yeah, preferably pile it on an existing topic. Server has issues again, same problem. yep. it’s happening again. not a surprise honestly.